Hey guys! Read this post till the end because I have a giveaway for you! Anyway, as always... Happy Monday! Hope you are all doing well today. For today I will be reviewing a cushion compact. 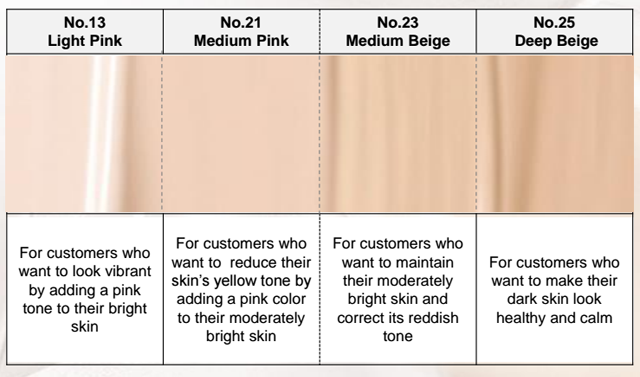 If you are really into Korean beauty stuff, I bet you know what this is. But if you don't, here's a little introduction of this innovative product that is trending in Korea for years now. When BB Creams and all that double letters names cream started to take the beauty world by store, this came along. 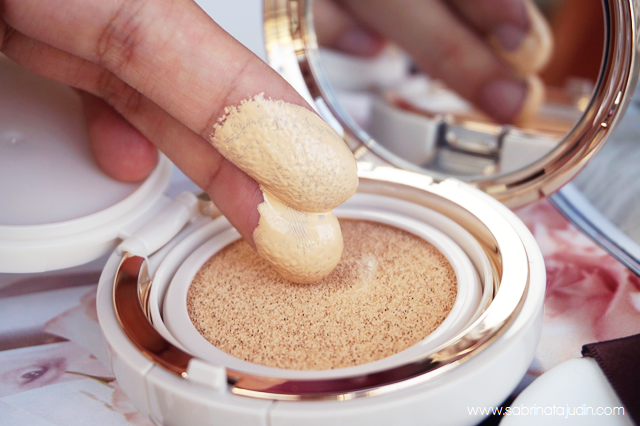 It is a compact just like your normal pressed powder case that contains liquid products. How does it works? 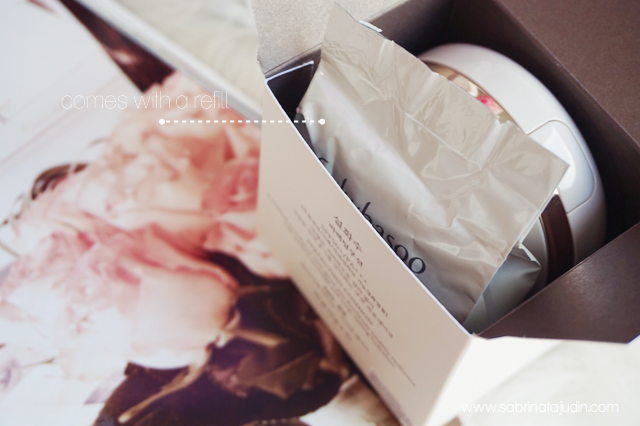 The liquid product is soaked in a fine and soft cushion inside the compact. The cushion compact usually comes with a special sponge/pad that you can use to take out the product and apply directly to your face. 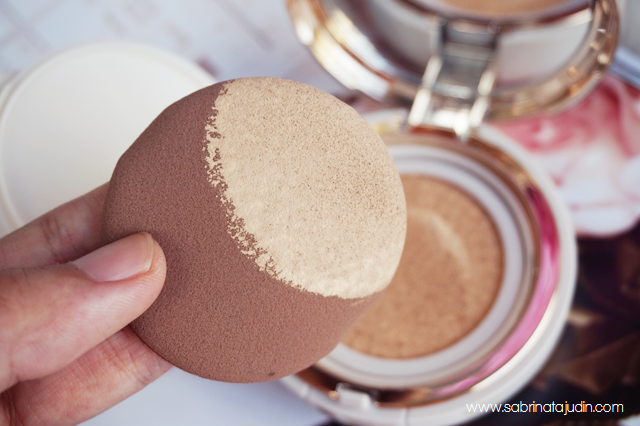 Most cushion compact has great benefits such as brightening, refining and many more. 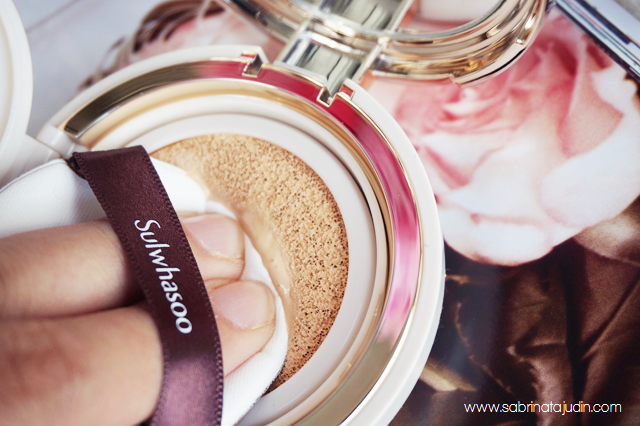 So today I will be reviewing one of the most raved about cushion compact from Sulwhasoo. Let get on to it shall we. This Perfecting Cushion features a Ultra-Radiance benefits which will gives your skin looks healthy with its Apricot Kernal Oil Complex ingredient. It promotes collagen formation in the skin and improves skin elasticity and resilience. It also claims to give you a perfect cover. Help to reduce lines, wrinkles and spots. Provides you with a long lasting coverage with its unique flexible film-fixing polymer for a 12 hours flawless finish. Lastly, this will provide you with SPF50+ PA+++. How awesome is that. Oh so creamy! I love the look of a creamy cream. This is the sponge/pad that comes with. What I like about it is that it hold us the product nicely without absorbing it too much. 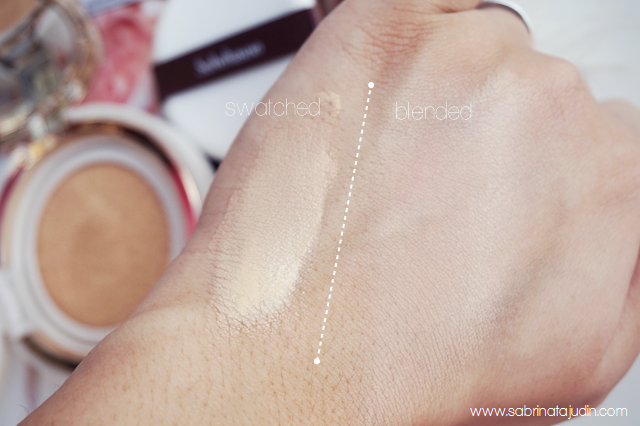 Here is a swatch of the Sulwhasoo Perfecting Cushion. It has a satin finish. Not dewy like most Cushion Compact gives. Here is the finish look using the Sulwhasoo Perfecting Cushion. As you can see it helps to covers my redness and small spots nicely. I pretty need a concealer and a bit of powder to finish up the whole look. What I like about it is that it gives me a natural brightening finish to my face and a satin (like a matte finish but just a little bit of dewyness). Perfect for a quick out makeup look for a casual days I don't want to have too much makeup on my face. Are you interested to learn more about Sulwhasoo? Go to my instagram and join this giveaway! 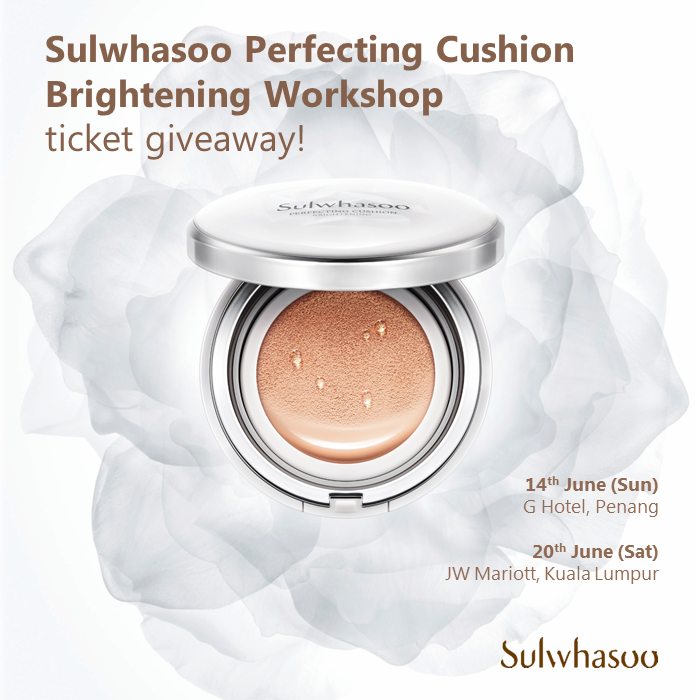 I am giving away A PAIR OF TICKETS to Perfecting Cushion Brightening workshop. You will also be walking away with a goodie by worth RM160. 1 pair for each venue, that means each winner can bring +1 along! Have a fun girls day out with your besties, how's that sound? Good Luck! Contest ENDS tonight at 11:59pm! There will be two winners for each location listed above. I can't, akak looks so lawaaaa. ><! tonight ? that means I already missed it . so sad ..
aah, laneige pun ada macam ni.. 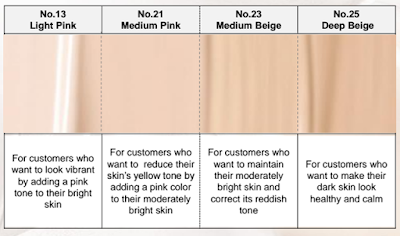 The color really looks good on your skin tone.